1: Cells have bombs, not activated yet. will inturn explode in the next second and this continues. So we have to determine what is the time taken for all the bombs to explode, once the trigger is pressed. If it is impossible to explode every bomb, then simply return -1. How will you trap rain water? There is a circular road, and there are n petrol bunks at different places on that road. The petrol bunk i has enough fuel by which one can travel f_i distance. The distance from the petrol bunk i to i+1 is d_i. You have a car with empty fuel tank, and you need to find a place from where you can start and travel by that road and reach the same place. The distance from first bunk to second is D1, and second to third is D2 and so on. The distance that can be travelled by the fuel in the first bunk is F1, and from the second bunk, it is F2 and so on. If F1 < D1, then we cannot start from the first bunk. If F1 + F2 < D1 + D2, then we cannot start from the first or second bunks. Similarly, if F1 + F2 + F3 < D1 + D2 + D3, then we cannot start from the first, second or third bunks. Wherever we reach the fuel to be less than the distance, we have to skip all those bunks, and have to move to the next bunk and repeat the same thing. There are 12 coins, and one coin has less weight. We have to find the odd coin by measuring only three times. There are 12 coins, and one coin is of different weight (more or less). We have to find the odd coin by measuring only three times. Put 6 coins on one side and other 6 coins on another side. Take the 6 coins of less weight, and put 3 coins on one side and another 3 coins on another side. Take the 3 coins of less weight. Put one coin on one side and another coin on another side. Whichever is of less weight, that is the odd coin. If both are equal, the third coin is of odd coin. Split the 12 coins into three parts, A, B and C, and name them like A1, A2, A3, A4, B1, B2, B3, B4, C1, C2, C3 and C4. Put 4 coins of A and 4 coins of B. If they are equal, put 2 coins of A on one side, and put C1 and C2 on the other side, and measure the weight. If they are not equal, Put A1 and C1 and measure the weight. If they are not equal, C1 is the odd coin. Otherwise, C2 is the odd coin. If they are equal, put 1 coin of A and C3 and measure the weight. If they are equal, C4 is the odd coin. Otherwise, C3 is the odd coin. If they are not equal, remember which one is of less weight. Put C1, C2, C3, C4 on one side and A1, A2, B1, B2 on another side. If they are not equal, check whether AB is of more weight or less weight. If it is more weight, then in the previous step, whichever one has more weight that has the odd coin. Same thing applies, if it is of less weight. Let's say, set A has the odd coin. Measure C1 and A1. If they are equal, A2 is the odd coin. Otherwise, A1 is the odd coin. Put A1, A2, A3 and A4 on one side and B1, B2, B3 and B4 on the other side. If both are equal, put A1, A2, A3 on one side and C1, C2 and C3 on another side. If both are equal, C4 is the odd coin. By weighing with any other coin, we can find whether it is heavier or lighter. If A is heavier, it means one of C1, C2 and C3 is the lighter odd coin. Weigh C1 and C2. Whichever is of less weight, that is the odd coin. If both are equal, C3 is the lighter odd coin. If C is heavier, it means one of C1, C2 and C3 is the heavier odd coin. Weigh C1 and C2. Whichever is of more weight, that is the odd coin. If both are equal, C3 is the heavier odd coin. If A is heavier, put B1, B2, B3 and A4 on one side and C1, C2, C3 and B4 on another side. If both are equal, One of A1, A2, A3 is heavier. Weigh A1 and A2. Whichever is heavier, that is the odd coin. If both are equal, A3 is the odd coin. If B1, B2, B3 and A4 is still heavier. It means, either A4 is heavier or B4 is lighter. Weigh A4 with any other coin (other than B4). If it is equal, then B4 is the odd coin of less weight. Otherwise, A4 is the odd coin of more weight. If B1, B2, B3 and A4 is lighter, then one of B1, B2 and B3 is the lighter odd coin. Weigh B1 and B2. Whichever is lighter, that is the odd coin. If both are equal, B3 is the lighter odd coin. If B is heavier, do same as above. Put C1, C2, C3 and A4 on one side and A1, A2, A3 and B4 on another side and proceed the same way. Government introduced a rule saying, once a couple gets a girl child, they should not have any more children. What would be the ratio of boys to girls after n years? It would be 1:1 only [If we assume, for any birth the ratio of boy to girl is 1:1]. Let's suppose, if there 1000 couples. If we take 1:1 in the births, then 500 would give birth to boys and 500 would give birth to girls. The couple who gave birth to girls will not conceive anymore. The 500 couple who gave birth to boys would give birth to 250 boys and 250 girls in the next delivery. The couple who gave birth to 250 girls would stop conceiving, and the remaining 250 couple would try again. They would give birth to 125 boys and 125 girls. 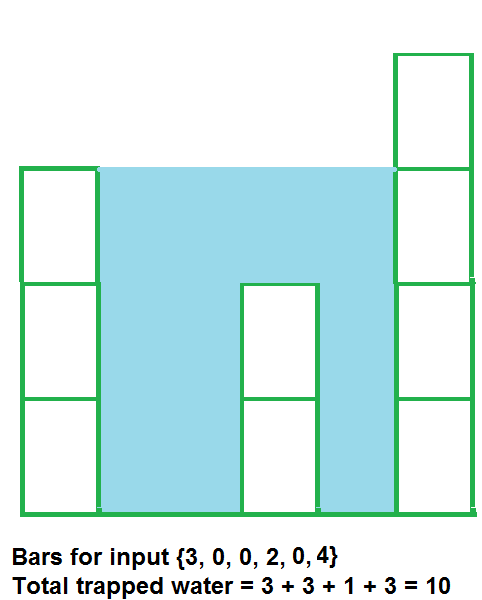 The same thing is repeated and the ratio would be 1:1 at the end. In an array of colors, we need to find out the no.of colored couples of the same color that are next to each other. If you find a colored couple, then you can remove that couple, and check whether any more couples can be formed by that or not. Now, there is another pair of G's in this. After removing that, the colors would be like below. after removing R, it would be like below. At this time, there are no colored couples that are next to each other. In this case, there are three couples in the given array. Stack is the simplest approach to solve this problem. If we can modify the input array, then we can use the input array itself as stack to solve this problem. We take the first element, and push it to the stack. If the stack contains any elements, then we take the top element and take the next element in the input array and compare the elements. If both are same, then we found one couple. We pop the element, and we move forward. If the elements are not same, then we just push that element to the stack and proceed. With this, by the time we reach the end, we would find the total no. of paired couples. If the input elements is given in the form of Doubly Linked List, and if we can modify the input, then from that also, we can easily find the count. We will have two pointers. Initially, first pointer would point to first element, and second pointer would point to second element. If both are different, then both pointers would move one step forward. If they are same, then the first pointer would move backward, and second pointer would move forward. We also would clear the two colors, and adjust the pointers in the doubly linked list. We repeat the loop. A tree is a balanced tree, if the heights of the left and right sub trees differ by at max 1 at all the nodes. This code does not give the accurate height. If at few levels itself, if it finds that, it is not balanced, it would just return. In C#, we can use out parameters. In C, C++, we can use pointers, and in java, we need to have some kind of holder class. Where the the path length of the nearest empty child is within one from the path to the farthest empty child. Given a binary tree, find sum of all the nodes below certain level. Given a level n, find some of all the nodes that are at level n or more. Given a binary tree, find sum of all the nodes upto certain level. Given a level n, find some of all the nodes that are at level n or less. Given a binary tree, find the sum of all the nodes. Given a two strings, find whether they are anagrams of each other or not. Anagram means, rearranging of the characters in the string. mary and army are anagrams. You are given a string and a number k. You need to right shift the string k times. What is the efficient way to solve this? If k is 2, then the output should be "cyDemocra". If k is 3, then the output should be "acyDemocr"
O(nk) time complexity, O(1) space complexity. where n is the length of the string. Right shift the string k times. Reverse the array from 0 to k-1, and from k-1 to n-1. There are three rooms, and there are Princess, Flowers and Snake in those rooms. The doors of all the rooms have incorrect nameplates. i.e., the nameplate for the princess' room is not Princess. Similarly, the nameplate for the Flowers' room is not Flowers. You need to find the room of the Princess without going to the room of Snake. How do you find?